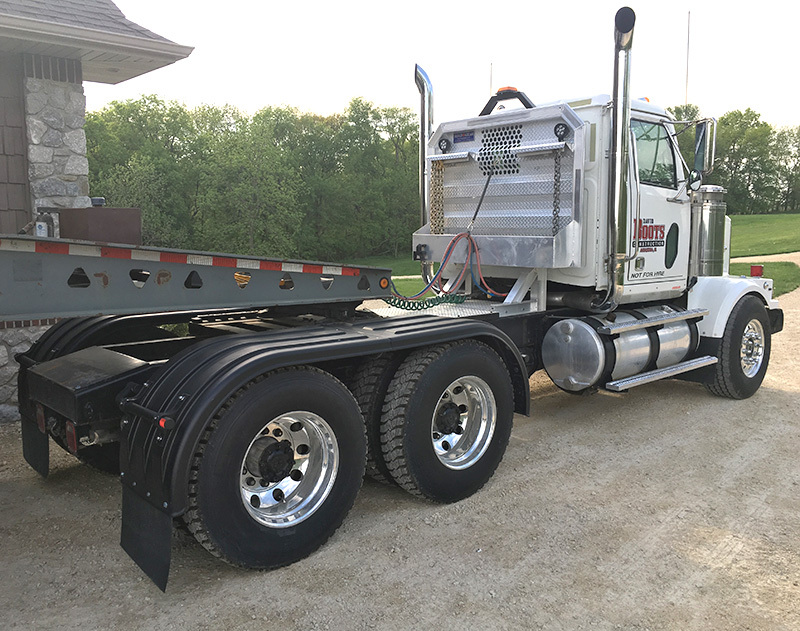 Heavy Duty Poly Full Fenders for Semi Trucks | Robmar Plastics, Inc.
Robmar full tandem fender systems cover both drive axles while providing an exceptional level of spray and debris protection. Each set works with 22.5 and most 24.5 wheel sizes. Sold as a set of 4 half fenders (pre assembly). For trucks with a max axle spread of 52″. Full fender systems offer the most cost effective way to cover multiple axles. Our FTF-18 and FTF-27 have a flat top between axles while the FTF-S features a ‘dip’ between axles. 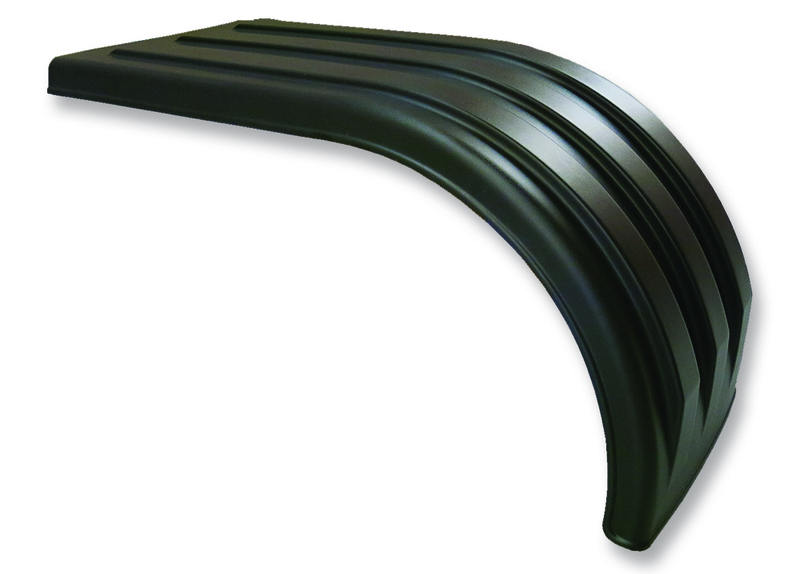 27″ drop – set of 4 fenders. For tires that are 40″ to 43″ tall (diameter). 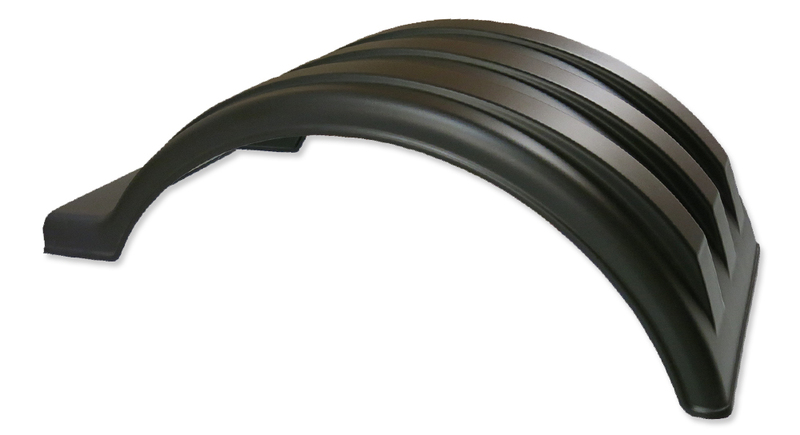 18″ drop – Set of 4 fenders. For tires that are 41″ to 44″ tall (diameter). 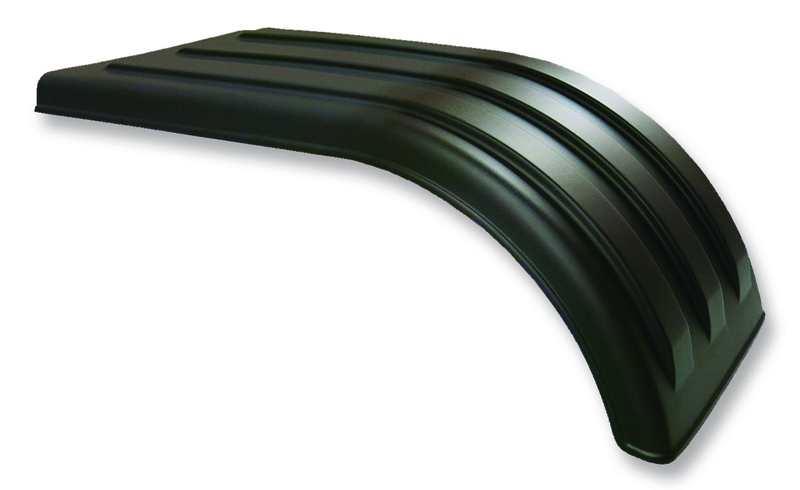 18 & 27″ combo – Set of 4 fenders. Offset steel tubes: Powder-coated w/ end caps. All other necessary hardware for installation. Complete kit that mounts any FTF set . Straight steel tubes: Powder-coated w/ end caps.